← Buddies! Year Five Blogging Homework! 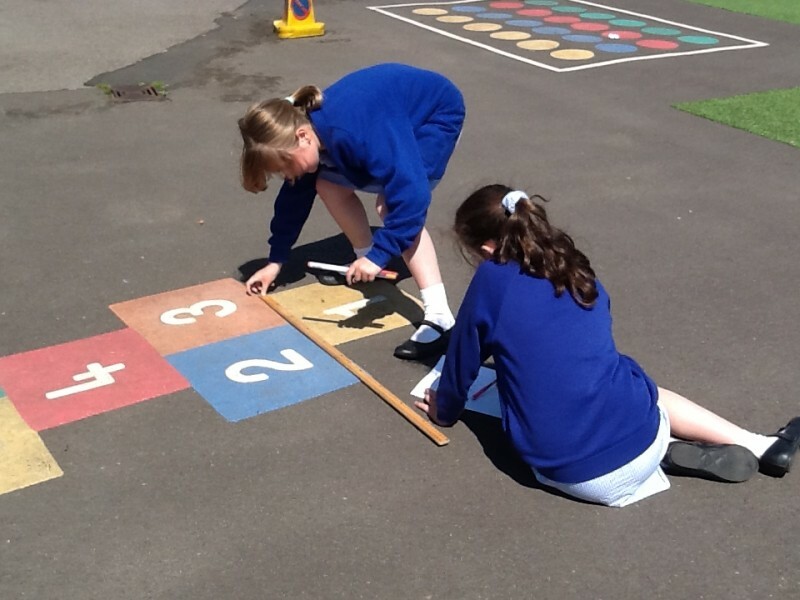 This week we took advantage of the fabulous weather and went out into the school grounds for our Maths lessons. 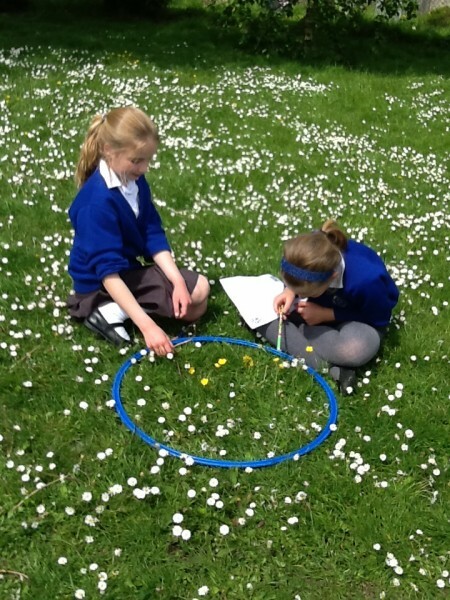 We carried out investigations and put many of our Mathematical skills to the test when carrying out a variety of tasks including calculating fractions of flowers within a hoop, sketching symmetrical leaves and working out the area and perimeter of various shapes and places. Year 5, which task did you enjoy the most and why? Which was most challenging and why? What did you find out? What did you learn? This entry was posted in Team Deerleap, Team Hawkhill, Team Wilverley, Uncategorized, Upper Juniors, Whole School. Bookmark the permalink. 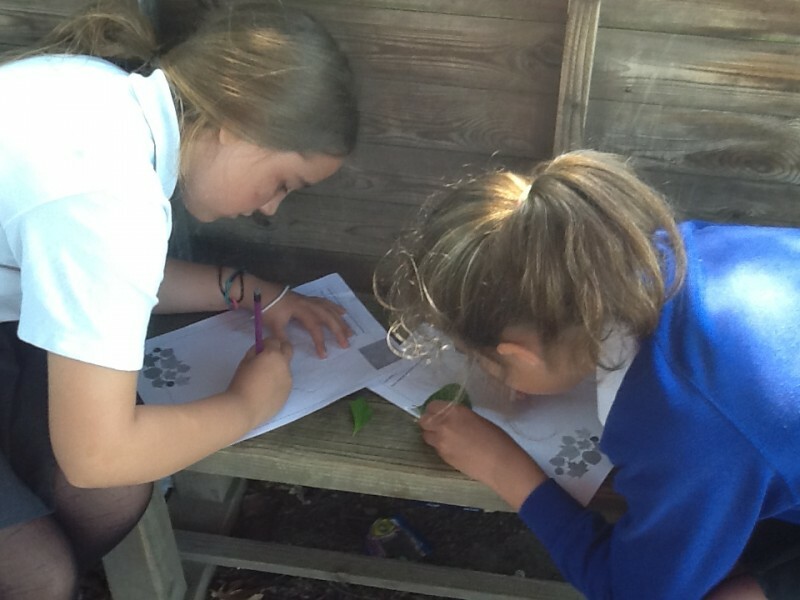 15 Responses to Year 5 Maths Outdoors! The most exciting thing about it was that we could choose where we started, our partners-it was entirely our decision! 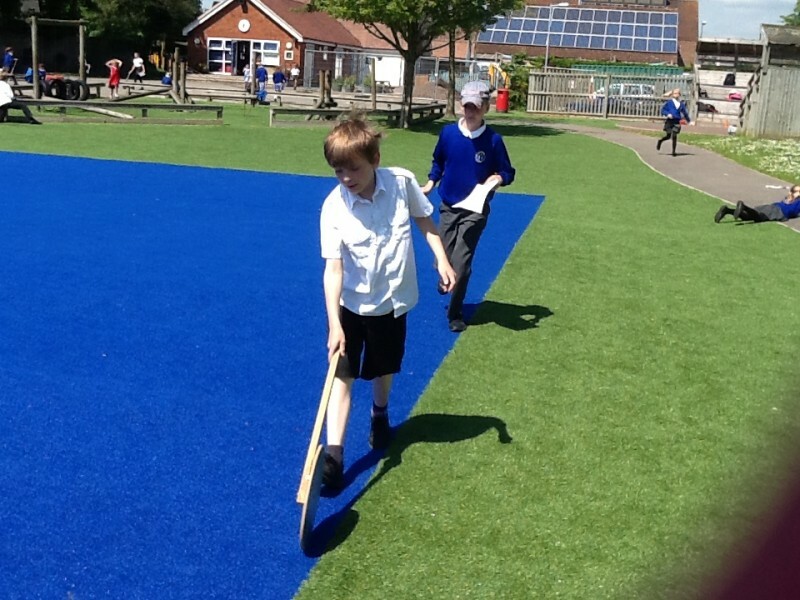 My favourite activity was the one we did on Friday- measuring shapes around the playground and recording their properties. I struggled a bit on an activity earlier in the week- doing word problems involving Volume. I think the reason I didn’t get very far was becaause I didn’t actually know what volume was. But know I do- it is the length times the width times the height. 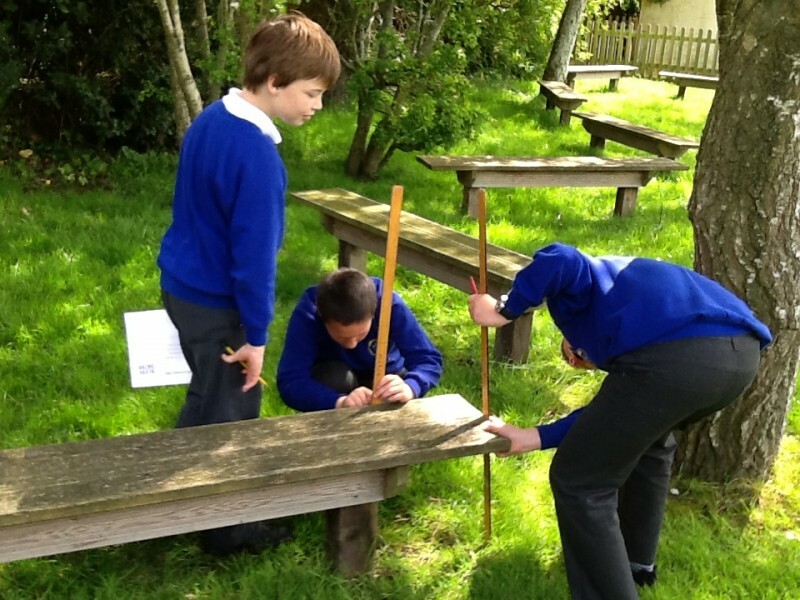 I can’t wait to do Maths outdoors again! 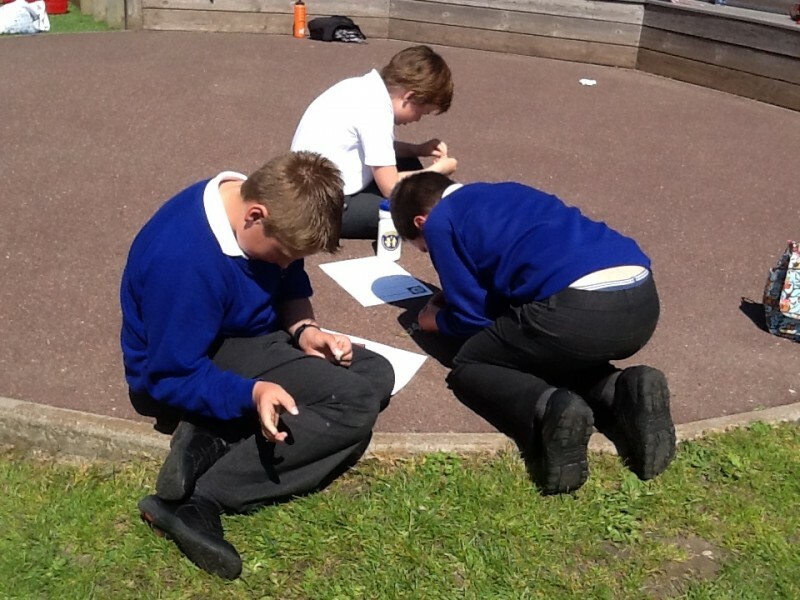 I really enjoyed outdoor maths as we got to use special equipment to find out answers to puzzling questions and challenges! 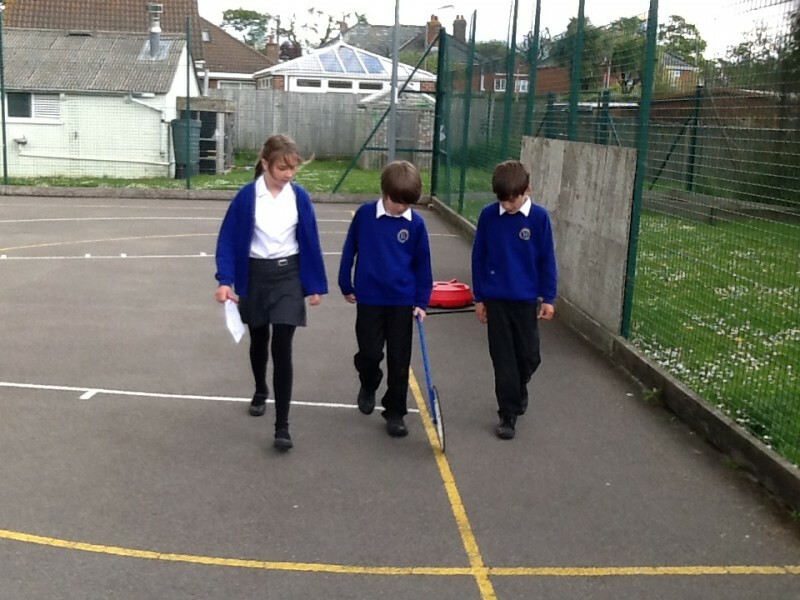 My favourite part of the outdoor maths was the field questions about the track, ball-court and benches! 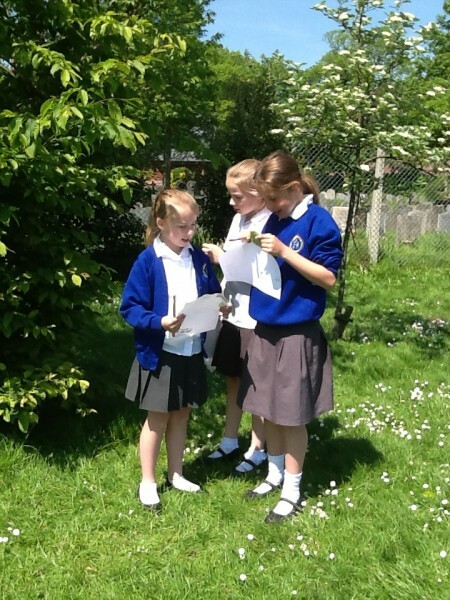 Luckily, the weather turned out really sunny which made it a nice day for everyone and I hope we will be able to do outdoor maths again as it was really fun! 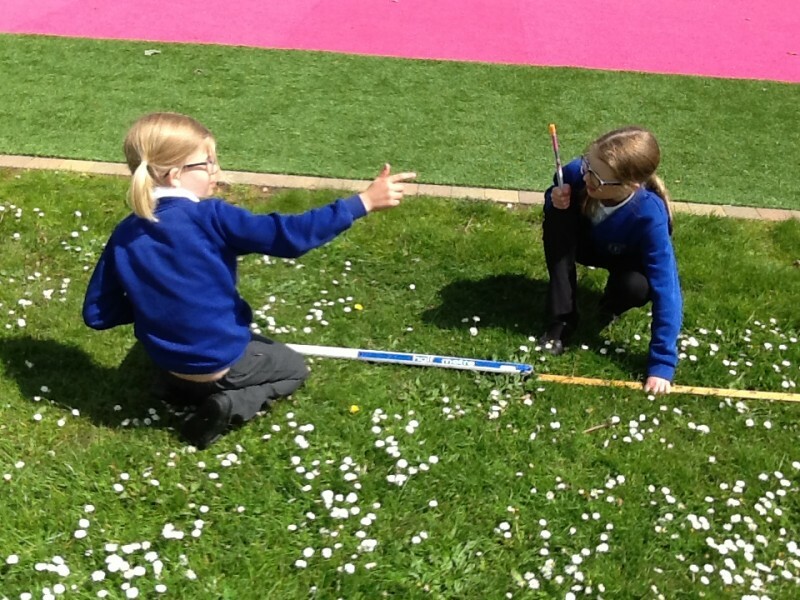 I enjoyed the maths outside because we got to go on the field and I liked the first maths lesson because we had a hoop and we recorded the flowers in the hoop. 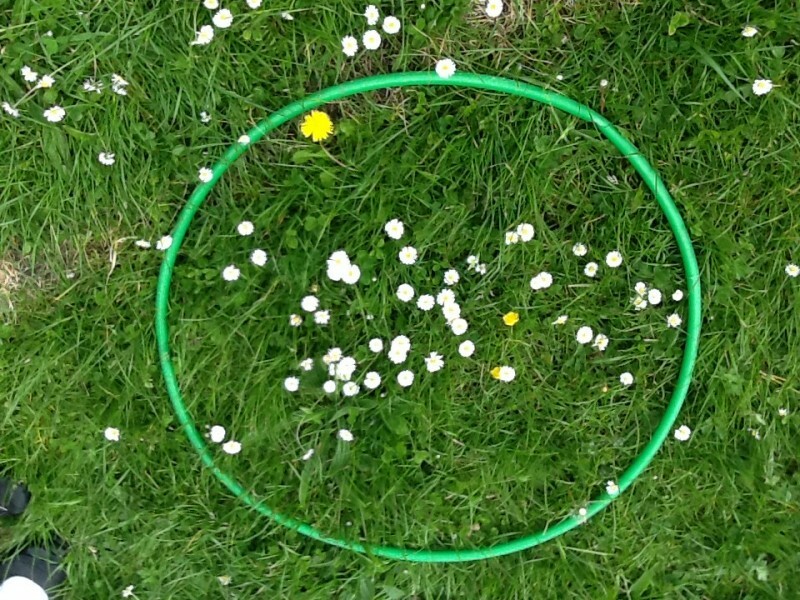 Joseph and I found lots of flowers in our hoop. 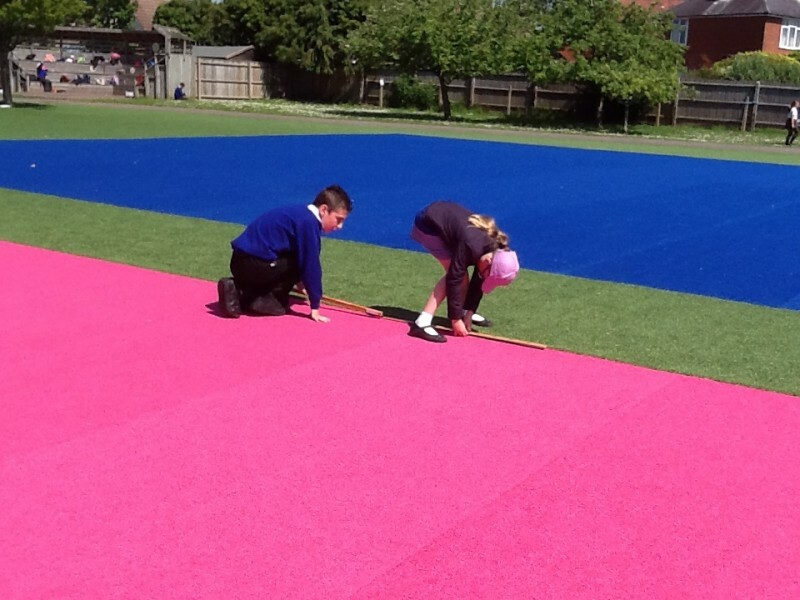 I loved out door Maths because i found it so much diffrent from inside because you get go on the feild and work out a varity of measurements in one big lesson. Thankyou Miss Aslett and Mrs Hulse. I enjoyed the first task we did because it was fun using the trungle-weel [I’m not sure if that is the correct spelling]. I think the one with the leafs was most tricky because you had to make sure they were literally the same each side. PS. I enjoyed this homework because when I do this homework I Blog about other stuff! I found out that it is actually possible for a leaf to be symmetrical. In thease few lessons I found that you don’t have to be a certain place to do maths you can be anywhere. I loved recounting the daisies 12 times after loosing count!it was great fun! I never thought a leaf could be symmetrical , I learnt something new.when I did the measuring, me and Lucie worked really hard as a team and got a lot done. It was s fun, getting to have lessons beside our beautiful enviroment! We only really get to experience it at break, so it is a really good amazing thing to do in the summer sun!!! i am working with lauren in the second pic! I know I wasn’t In Team Wilverley when you did outdoor maths but I couldn’t resist posting a comment!